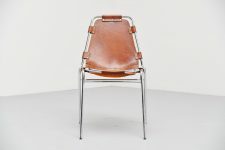 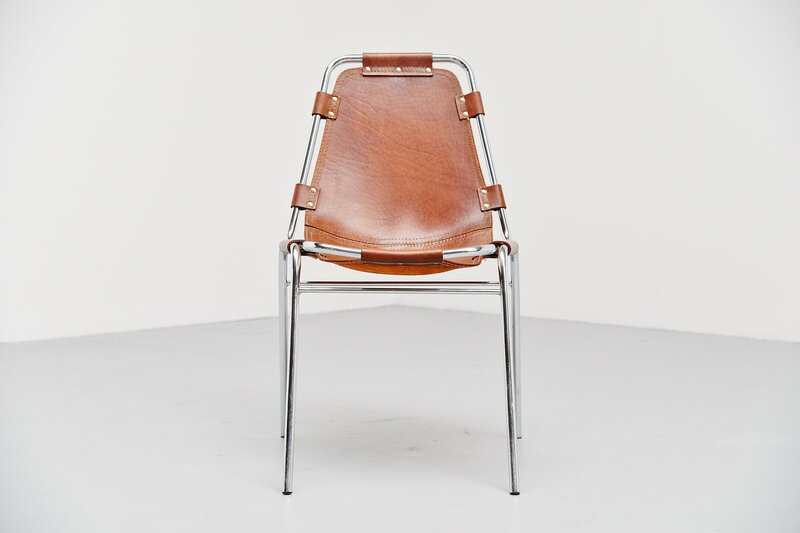 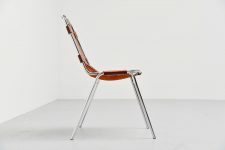 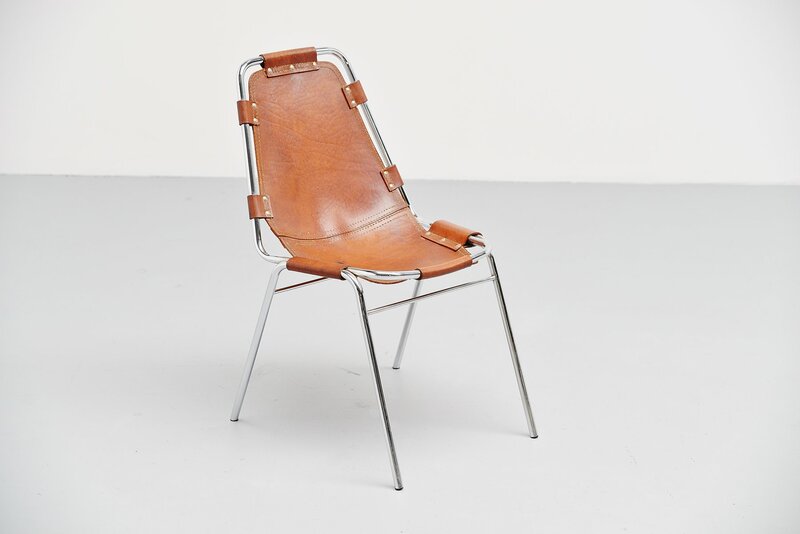 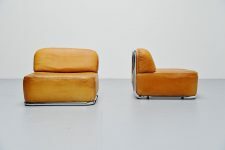 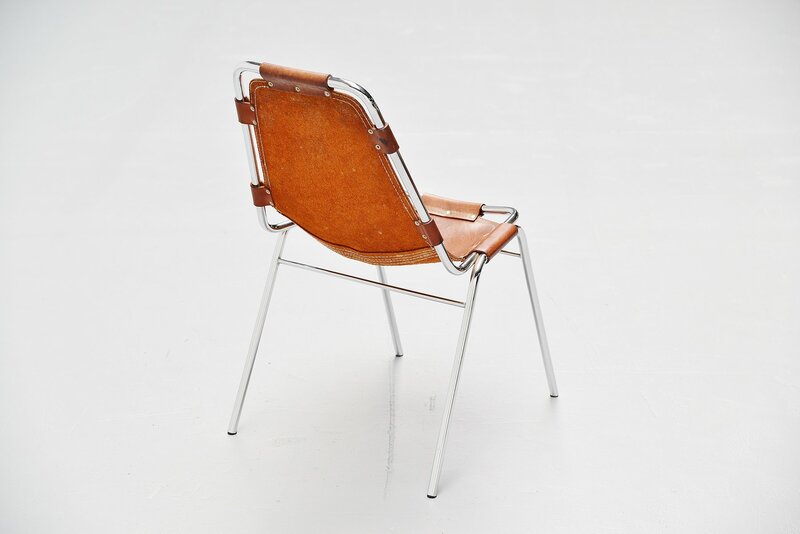 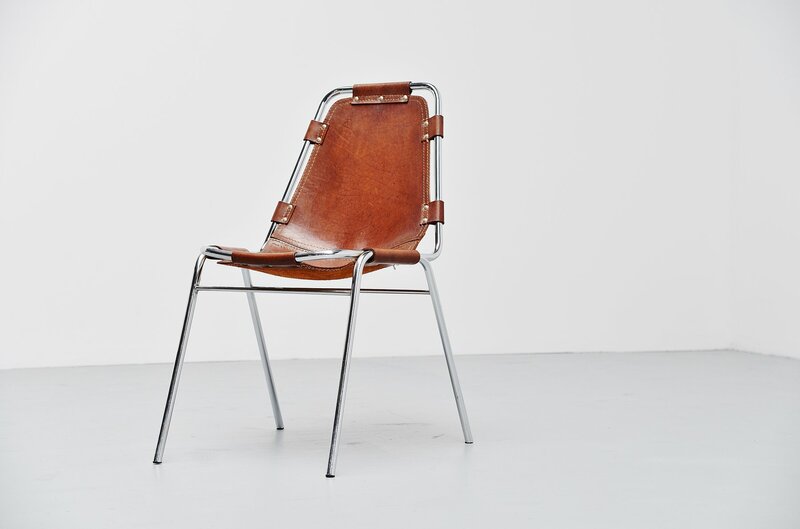 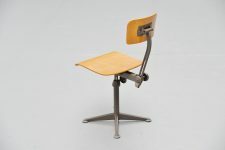 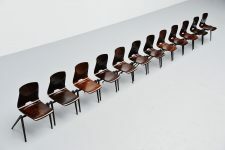 Very nice side/stacking chair by Charlotte Perriand for Ski resort Les Arcs in 1960. 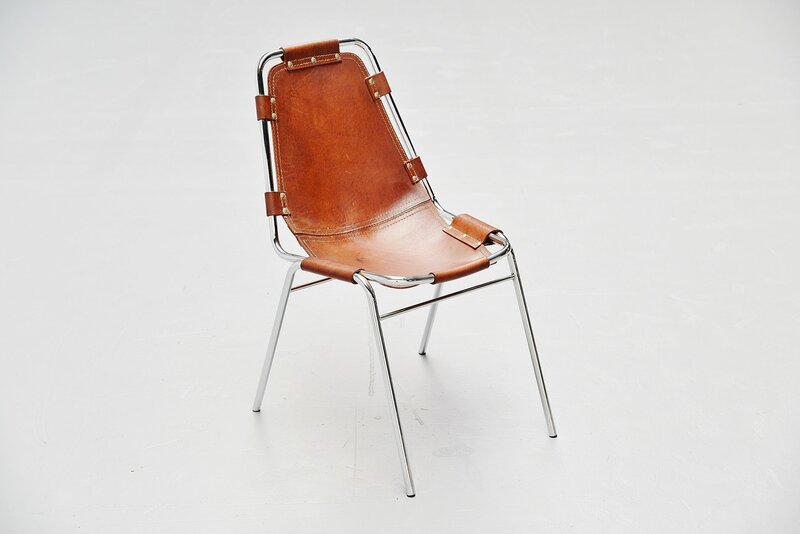 This is for a single chair in cognac saddle leather and in very good original condition. 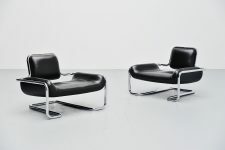 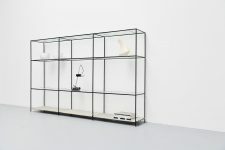 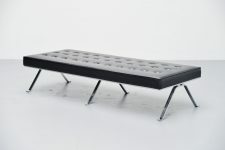 It has a chrome tubular frame and high quality thick leather seat. 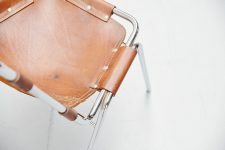 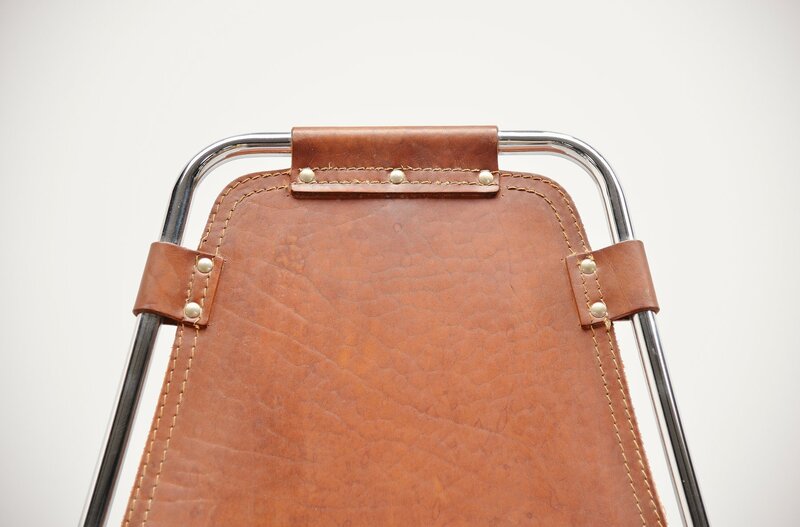 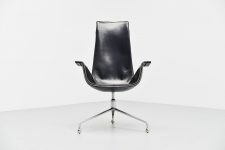 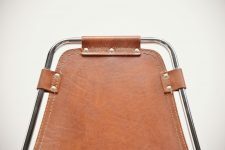 The leather seat has a fantastic user patina on the leather, minimal wear as usual but still very usable. Chrome frame is in perfect condition. 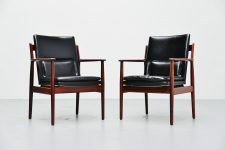 Absolutely fantastic chair and highly wanted at the moment. 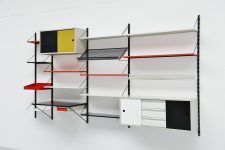 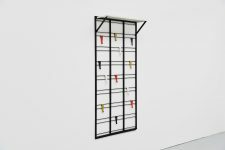 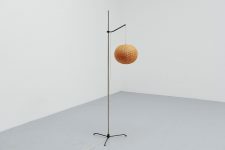 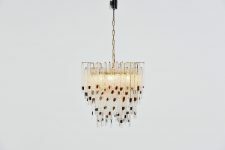 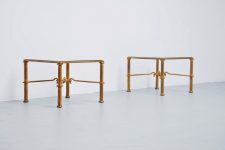 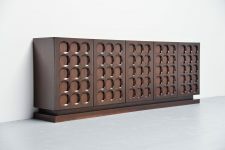 Would look great in any modern design home or interior. 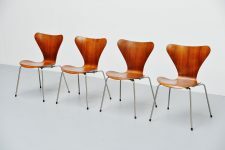 We have 3 chairs in stock at the moment, priced and sold individually.